MOSCOW (Sputnik) - Patriarch of the Greek Orthodox Patriarchate of Antioch and all the East John X said in his letter to Constantinople Patriarch Bartholomew that the granting of independence to new Orthodox Church of Ukraine will not bring peace or harmony either to Ukraine or to the rest of the Orthodox world. "The most useful thing for peace in the [Orthodox] church, its unity… would be to stop and postpone this [unification] process until the Ukrainian problem is studied and a pan-Orthodox solution is found. Therefore, we ask your All Holiness to urge your brothers, the primates of Orthodox churches, to study these issues in order to protect our church from dangers that will not lead to peace and harmony either in Ukraine or in the Orthodox world", the patriarch's letter was quoted as saying by the official website of the Russian Orthodox Church. For years, the Orthodox church in Ukraine has been split into three main branches: the originally canonical Ukrainian Orthodox Church of the Moscow Patriarchate (UOC-MP) and the non-canonical Ukrainian Orthodox Church of the Kiev Patriarchate and Ukrainian Autocephalous Orthodox Church. 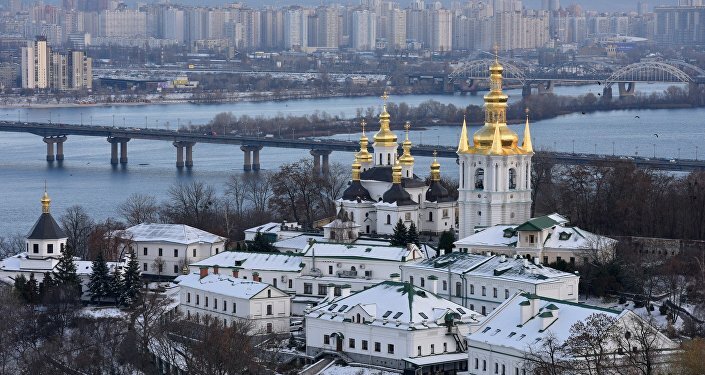 In mid-December, a unification council was held in Kiev at the initiative of Ukrainian President Petro Poroshenko and Constantinople Patriarch Bartholomew, during which Epiphany Dumenko was elected head of the new autocephalous church. The new church united the two previously non-canonical structures. The council was attended by only two UOC-MP bishops, who were later defrocked by their church, which officially refused to participate in the event. Although no Orthodox church except for Constantinople has officially recognized the newly created structure, Constantinople Patriarch Bartholomew handed over an independence decree — Tomos — to the head of the newly established Orthodox Church of Ukraine earlier on Sunday. Under the Tomos, the new church's jurisdiction will be restricted to Ukraine and it will not be authorized to appoint bishops and establish its parishes abroad, making it effectively dependent on Constantinople. The Russian Orthodox Church has refused to recognize the results of the unification council and Constantinople's decision to grant autocephaly to the Ukrainian church, insisting that Constantinople legalized schism and adding that the day when the Tomos was signed was a "tragic" one for the global Orthodoxy.